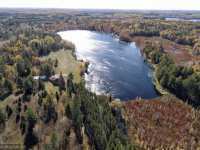 STUNNING SIX ACRE SETTING WITH 700 FT OF LAKE SUPERIOR FRONTAGE IS THE BACKDROP FOR THE HOME FEATURED WHICH IS PART OF A FAMILY COMPOUND TO INCLUDE TWO ADDN. RESIDENCES. . . . 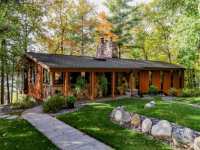 STUNNING SIX ACRE SETTING WITH 700 FT OF LAKE SUPERIOR FRONTAGE IS THE BACKDROP FOR THE HOME . . . IMAGINE. A PRIVATE DRIVE THROUGH PINE FOREST. 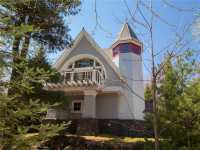 A LIGHTHOUSE-THEMED RETREAT ON 400 OF LAKE SUPERIOR . . .
A LONG DRIVE THROUGH A PINE FOREST AWAITS THIS STUNNING PRIVATE NAUTICAL RETREAT ON THE SHORES OF . . .
1200 FEET OF SAND BEACHES, TWO LIVING QUARTERS, NICELY WOODED AND NO CLOSE NEIGHBORS, A BOAT HOUSE [REALLY RARE], AND PRIMARY AND SECONDARY LIVING QUARTERS. ONE OF LAST . 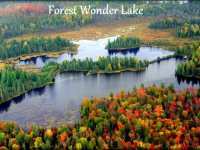 . .
ASTOUNDING QUIET AND PRIVATE LAKE SUPERIOR ESTATE WITH OLD GROWTH FOREST. BROWNSTONE, QUARRIED OFF THE APOSTLE ISLANDS IN 1892, IS USED FOR THE PILLARS AT THE ENTRANCE . . . 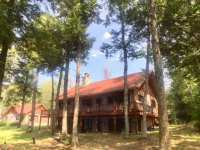 ENJOY THE BEAUTY OF THE LARGEST OF THE GREAT LAKES FROM THIS NEWLY COMPLETED 6 ACRE GATED ESTATE . . . IF WALLS COULD TALK! BUILT BY A CHICAGO POLICE CAPTAIN, THIS PROHIBITION ERA HAVEN WAS VISITED . . . IF WALLS COULD TALK! BUILT BY A CHICAGO POLICE CAPTAIN, THIS PROHIBITION ERA MANOR WAS VISITED . . . 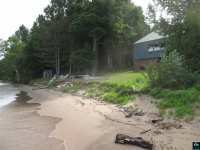 THIS IS TRULY A RARE OPPORTUNITY TO OWN OVER 2,000 FEET OF SAND BEACH ON LAKE SUPERIOR, JUST 1/4-MILE FROM THE APOSTLE ISLANDS NATIONAL PARK - MEYERS BEACH HEADQUARTERS. . . . THIS QUINTESSENTIAL BEACH HOME FEELS LIKE CAPE COD, BUT ON THE GREAT INLAND SEA. LOVINGLY DESIGNED . . . IT IS HARD TO TAKE IN ALL OF THE BEAUTY IN ONE VISIT THAT THIS CAPE COD INSPIRED HOME CREATES. THE . . . MAGNIFICENT HAMPTONS STYLE RESIDENCE CLOSE TO TOWN AND FERRY DOCS. 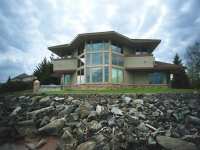 THIS METICULOUSLY CARED FOR PROPERTY INCLUDES NEARLY 500 FEET OF SHORELINE WITH A PERMANENT 140 FOOT . . . 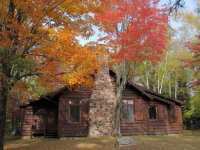 THE ULTIMATE IN NORTHWOODS PRIVATE RETREATS! CUSTOM BUILT 5,400 SQ FT HOME ON 3 LEVELS. 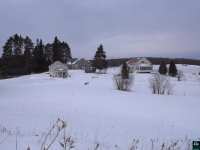 3 MANICURED ACRES AND 225 FT OF LEVEL, SUGAR SAND LAKESHORE. GREAT OPEN FLOOR . 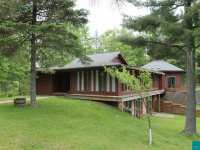 . .
ONE OF A KIND, IMPECCABLY KEPT, ESTATE ON THE PIKE LAKE CHAIN IN IRON RIVER! NESTLED ON THE SHORES OF HART LAKE, WITH 537’ OF BEAUTIFUL SAND FRONTAGE AND CRYSTAL-CLEAR . . .
ONE OF A KIND, IMPECCABLY KEPT ESTATE ON THE PIKE LAKE CHAIN IN IRON RIVER! 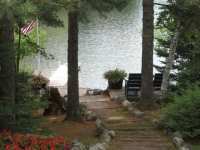 NESTLED ON THE SHORES OF HART LAKE, WITH 537’ OF BEAUTIFUL SAND FRONTAGE AND CRYSTAL-CLEAR . 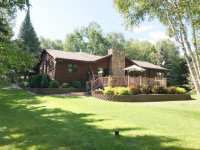 . .
ONE OF A KIND, IMPECCABLY KEPT, ESTATE ON THE PIKE LAKE CHAIN IN IRON RIVER! 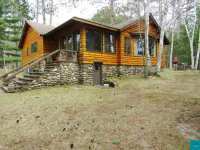 NESTLED ON THE SHORES OF HART LAKE, WITH 537� OF BEAUTIFUL SAND FRONTAGE AND CRYSTAL-CLEAR . . . THIS TRULY UNIQUE PROPERTY TOTALS 190 ACRES AND ENCOMPASSES 46-ACRE DEER LAKE. 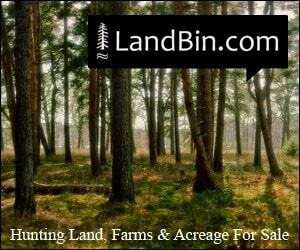 THE PROPERTY HAS A WELL-MANAGED HARDWOOD FOREST COVER. THE CHARMING HOME SITS NEAR THE . 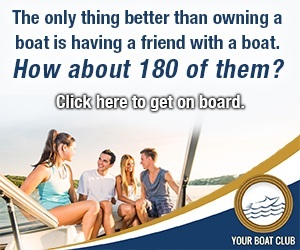 . .
HAVE YOU EVER DREAMED OF OWNING YOUR OWN LAKE? 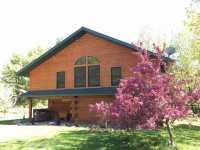 NORTHWOODS HOME WITH APPROXIMATELY 20 ACRE LAKE THAT . . . 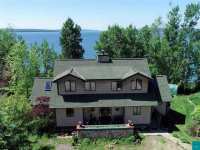 THIS LAKE SUPERIOR PROPERTY BOASTS THE BEST OF QUALITY, STUNNING VIEWS AND CUSTOM ARCHITECTURE. SITUATED PERFECTLY ON BARKER'S ISLAND EVERY WINDOW IN THIS 3+ BEDROOM, . . . EXCEPTIONAL PROPERTY LOCATED ON LAKE MILLICENT; PART OF THE PIKE LAKE CHAIN. PROPERTY INCLUDES MAIN HOME, 2 GUEST CABINS, 4 CAR GARAGE, SAUNA BUILDING, AND A LARGE, . . . STUNNING MADELINE ISLAND ARTS & CRAFTS HOME DESIGNED BY OWNER ARCHITECT FOR FULL-TIME COMFORTABLE . . . 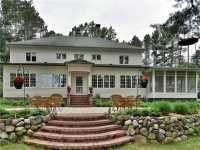 STUNNING MADELINE ISLAND ARTS & CRAFTS STYLE HOME DESIGNED BY OWNER ARCHITECT FOR FULL-TIME . . . UNIQUE ONE OF A KIND PROPERTY WITH MULTIPLE SOLIDLY-BUILT HOMES, TWO LARGE POLE BARNS, AND STUNNINGLY BEAUTIFUL LAND. IF THIS IS WHAT YOU ARE LOOKING FOR, YOU REALLY . . . 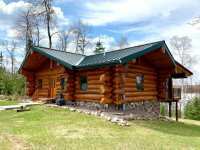 THIS 342.70 ACRE PARCEL FEATURES A 1555 SQ FT LOG LODGE AND CONTAINS A STUNNING APPROXIMATE 50 ACRE PRIVATE LAKE, WHICH WILL REMIND YOU OF CANADIAN WILDERNESS AND . . .
310' OF SANDY BEACH ON SOUGHT AFTER BOND LAKE KNOWN FOR ITS CLEAR, DEEP WATERS. OVER 5000 SQ. 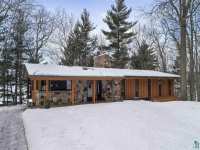 FT. OF LIVING ON TWO LEVELS PLUS LARGE DECK OVERLOOKING THE LAKE. NEWLY . 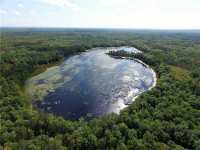 . .
310' OF SANDY BEACH ON SOUGHT AFTER BOND LAKE, KNOWN FOR ITS CLEAR, DEEP WATERS. 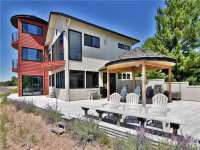 OVER 5000 SQ FT OF LIVING ON TWO LEVELS, PLUS LARGE DECK OVERLOOKING THE LAKE. NEWLY . 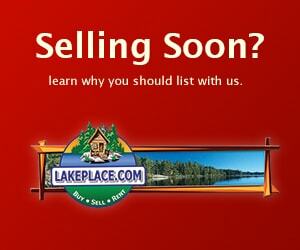 . .
310' OF SANDY BEACH ON SOUGHT AFTER BOND LAKE, KNOWN FOR ITS CLEAR, DEEP WATERS. OVER 5000 SQ FT OF LIVING ON 2 LEVELS PLUS LARGE DECK OVERLOOKING THE LAKE. NEWLY . . . THIS PROPERTY HAS A BEAUTIFUL HOME, BUT THE PROPERTY IS THE MAIN ATTRACTION HERE. 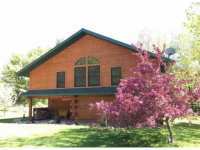 LARGE OPEN CONCEPT TIMBER HOME WITH A VIEW FROM THE COVERED BACK PORCH OF STREAM AND . 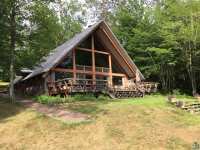 . .
LARGE OPEN CONCEPT TIMBER HOME WITH A VIEW FROM THE COVERED BACK PORCH OF STREAM AND WATERFALL. MAIN FLOOR HAS OPEN KITCHEN/DINING/LIVING AREA, FULL BATH, LAUNDRY AND . 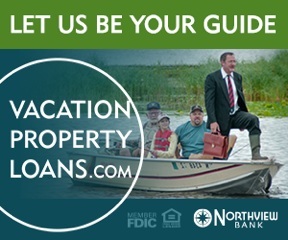 . .
25 Listings in Glidden WI ..
3 Listings in High Bridge WI ..
1 Listings in Highbridge WI ..
9 Listings in Lake Nebagamon WI ..
6 Listings in Mason WI ..
10 Listings in Superior WI ..